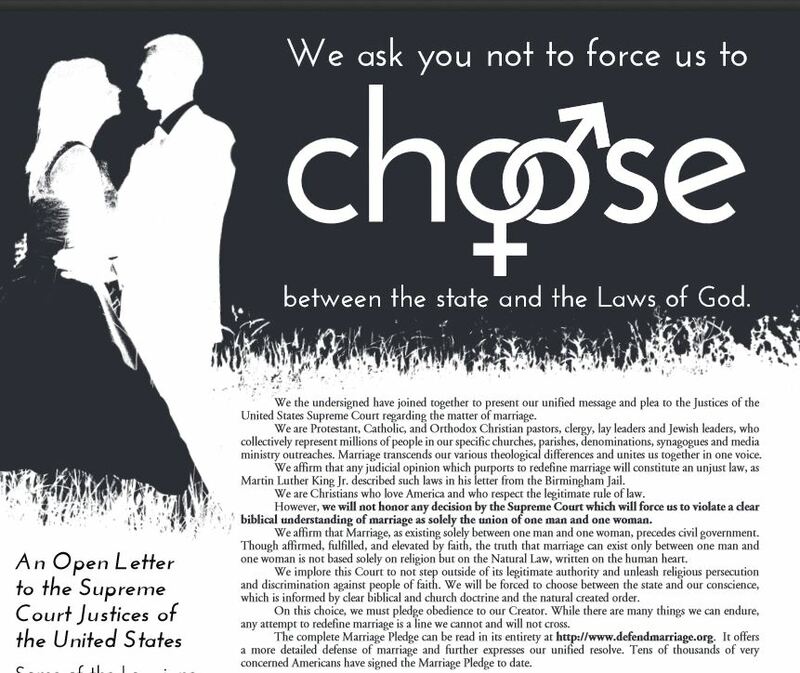 A broad coalition of Protestant, Catholic, Orthodox Christian, and Jewish leaders joined by civic and business leaders from around the nation have signed an open letter to the U.S. Supreme Court vowing they will not honor any decision by the Supreme Court that would force them to violate the biblical understanding of marriage as the union of one man and one woman. 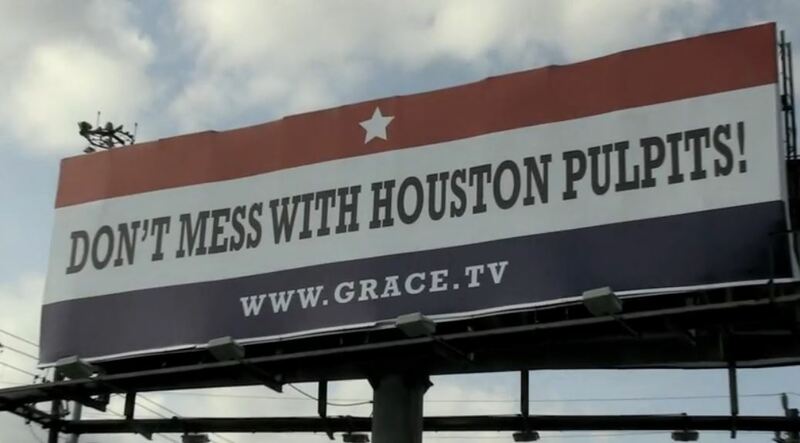 The letter was published in an ad in the Washington Post and was signed by many prominent pastors and Christian leaders, many from Texas, including: Pastor Robert Jeffress at First Baptist Church Dallas, Pastor Robert Morris at Gateway Church in Southlake, Pastor Charles Hagee at Cornerstone Church in San Antonio, Pastor Gregg Matte at Houston’s First Baptist Church, and Pastor Steve Riggle at Grace Church in Houston. 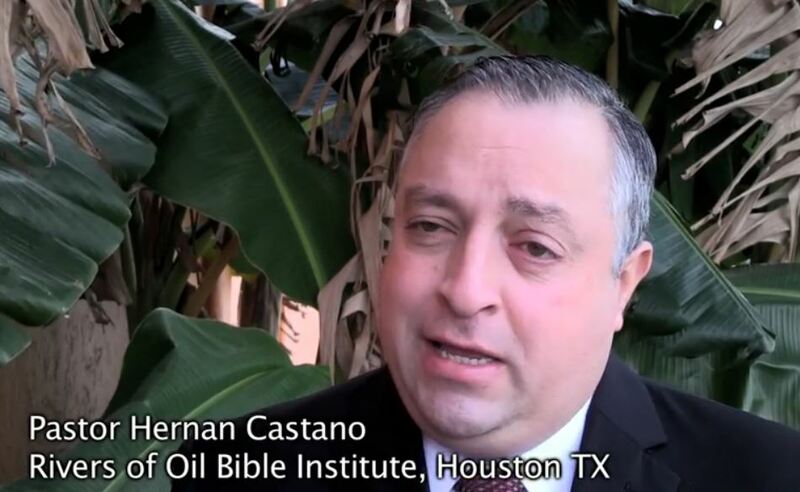 We are Protestant, Catholic, and Orthodox Christian pastors, clergy, lay leaders and Jewish leaders, who collectively represent millions of people in our specific churches, parishes, denominations, synagogues and media ministry outreaches. Marriage transcends our various theological differences and unites us together in one voice. We affirm that any judicial opinion which purports to redefine marriage will constitute an unjust law, as Martin Luther King Jr. described such laws in his letter from the Birmingham Jail. We are Christians who love America and who respect the legitimate rule of law. However, we will not honor any decision by the Supreme Court which will force us to violate a clear biblical understanding of marriage as solely the union of one man and one woman. The letter is sponsored by the non-profit Common Good Foundation. 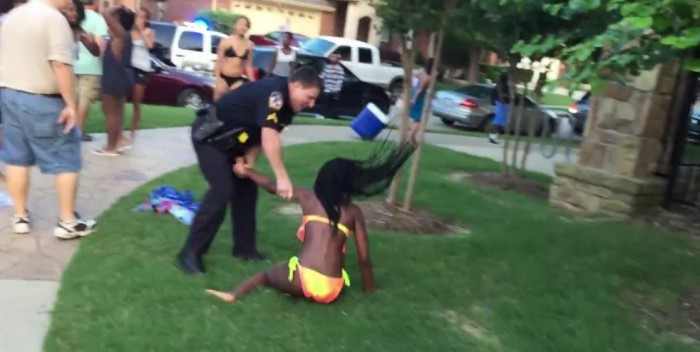 Only days ago the national news media descended on McKinney, Texas following an incident which occurred with police after several teens crashed a pool party in the city and police were called to the scene. The incident attracted vocal statements from all sides with some claiming the police were too rough on specifically Black teenagers. Video of the event went viral after a McKinney police officer threw a teen girl to the ground, kneeling into her back in what appeared to be an over aggressive manner. The officer resigned shortly after the incident. Today, we woke up to the news that a young white man went into an historically African American church in Charleston, South Carolina and in cold-blood gunned down nine Black churchgoers. It was that topic that led WBAP radio talk show host, Chris Krok, in Dallas, Texas to have a discussion on his program Thursday evening. Krok described the Christians at the AME Church in South Carolina as acting like Christ by welcoming in the man who would later kill them. Chris Krok then took a call from a McKinney pastor who said that he had just returned from a city wide pastor’s meeting planned as a result of the pool party incident days earlier. The Pastor, who said his first name was Charlie, told Krok that last week over 100 clergy members met with the chief of police to dialogue about the incident. He said they laid their hands on him and prayed for him. “Last week when all this broke loose and the protests hit our city, one hundred of us clergymen gathered with the Mayor and the Chief of Police behind closed doors and no reporters. It was a two and a half – two hour meeting and it culminated in all the clergy laying hands on the pastor [ he meant mayor] and the Chief of Police praying over them. From that, we have begun a dialogue to deal with issues in our city,” the pastor said. He also commended the Black pastors on how they “tapped down” violence as groups like the Black Panthers and the Nation of Islam went to McKinney to protest. “And, I want to commend the African American pastors of McKinney who really did their best to tamp down the hatred side of the protest when the Nation of Islam and the Black Panthers came into our city. He then told Krok about the meeting that took place this evening. 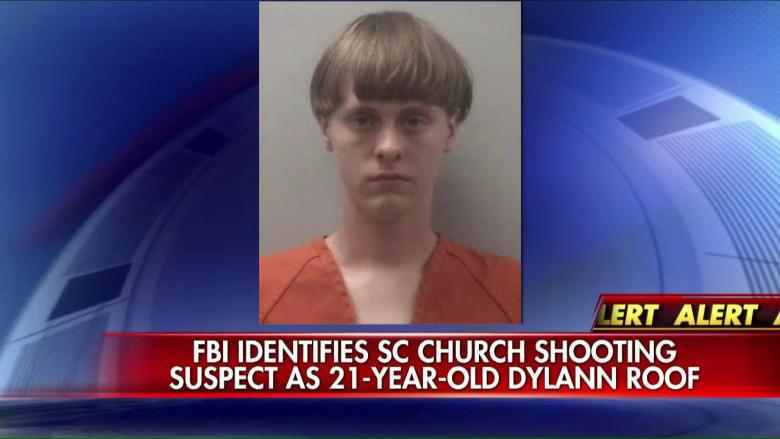 “They said that this attack in South Carolina was demonic. That this was one of the things that the enemy is using to destroy the Body of Christ. The Pastor, who is White said that he was amazed at what the Black pastors said and he was not shocked by their love, for the alleged White racist shooter, saying, “This man needs to be saved, this is a spiritual issue,” he said. “And, that’s the point that the clergy’s bringing up. And because it doesn’t fit the political narrative – there’s no coverage over this,” the pastor commented. “I really think that if we would lay down denominational lines and political lines and if clergy would come together because clergy still has strong influence across communities, if they would come together and say we’re here for a solution that it goes beyond politics and goes beyond skin and race. We’re here as a Body of Christ. 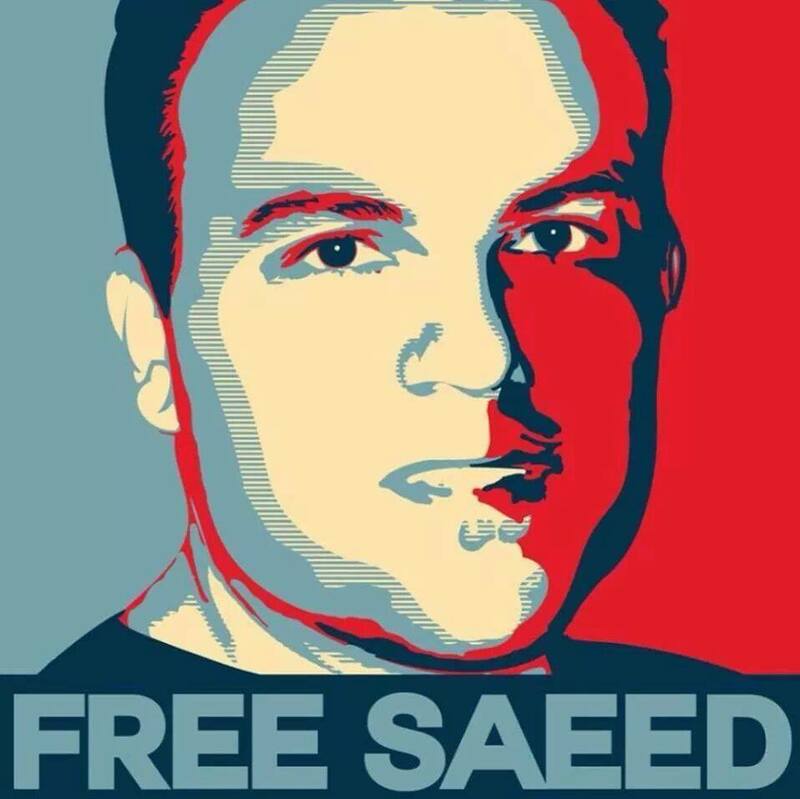 I believe that we could begin to see some better things happen across our communities,” he concluded. 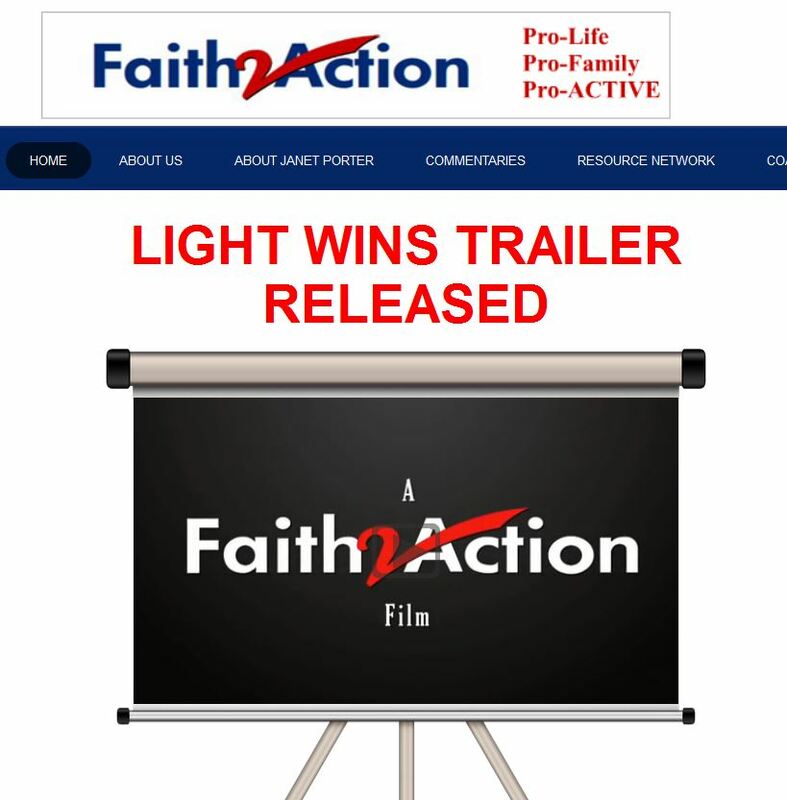 The president of the largest chain of abortion clinics in the United States is thanking “Faith Leaders” for standing with them. 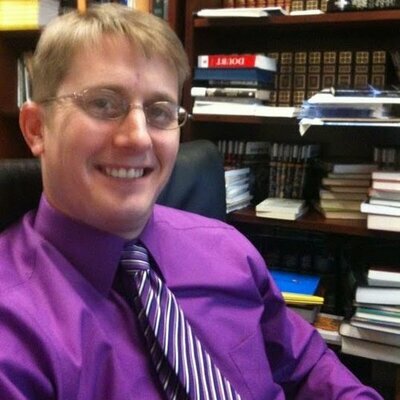 @awkukla is Andrew Kukla, who describes himself as a , “Presby minister, love philosophy and Kierkegaard in particular, dad of four young kids, and I live in Boise, ID,” on his twitter page. 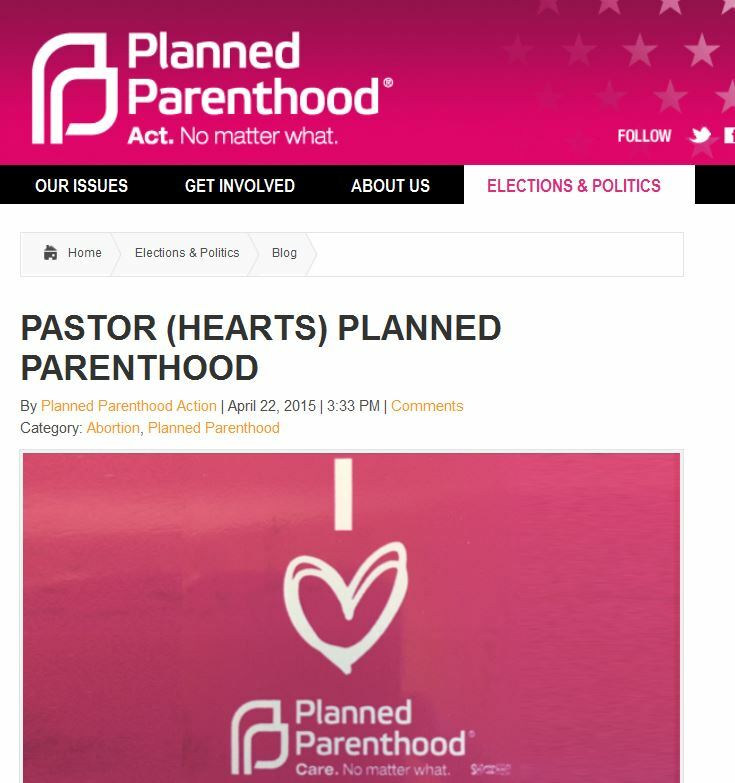 The link takes you to a post written by the Presbyterian pastor which calls what Planned Parenthood does “a ministry“. “I heart Planned Parenthood. I love these people who do not care what others will label them or say about them or even say to them. They care too much about people and too much about life to let hate and ignorance hold them back. As a Christian I am called to grace, forgiveness, mercy… and building up of those who life has torn down. 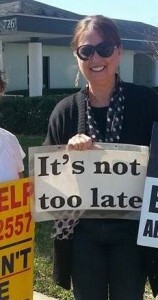 And from all I learned today, some of the greatest practitioners of that are the people working at Planned Parenthood. So I say it proudly: I love Planned Parenthood. I love the people that are Planned Parenthood. I love their ministry”. The blog makes it clear that the Rev. 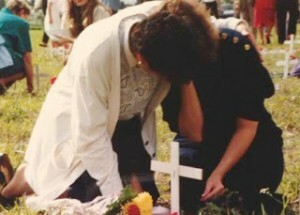 Andrew Kukla loves the killer of unborn children and some women like 24 year-old Tonya Reaves who was left to bleed for 5 hours after her abortion. And, why does the delusional Rev. 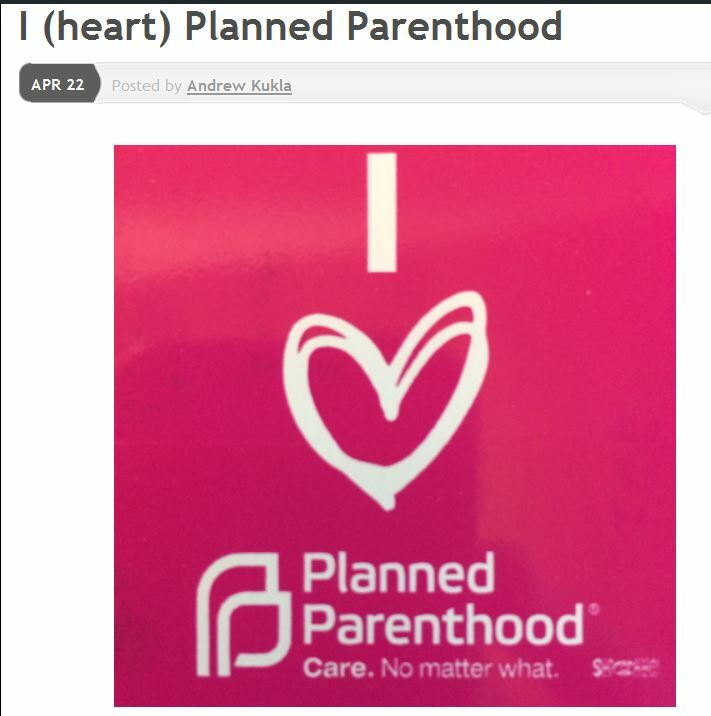 Kukla “love” Planned Parenthood? “What I love is the dedicated staff of people who are doing the ministry of caring for people. Fighting for people. Fighting for life,” he writes. Rev. 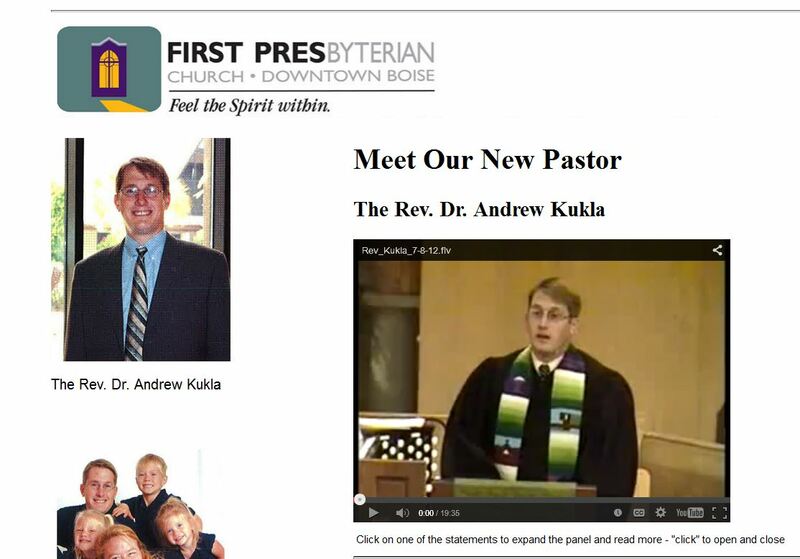 Andrew Kukla is the pastor of First Presbyterian Church Boise, Idaho. This man will have to answer to God for what he is doing. Unfortunately, this heretic pastor and church is not alone. I recently blogged about a Presbyterian Church in Louisiana which opened their doors to Planned Parenthood for support- read that post here. 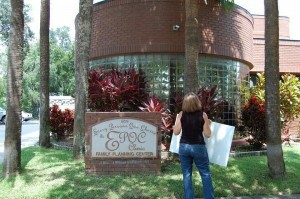 In addition, I also exposed the Planned Parenthood clergy letters encouraging abortion – shameful. Read that here. 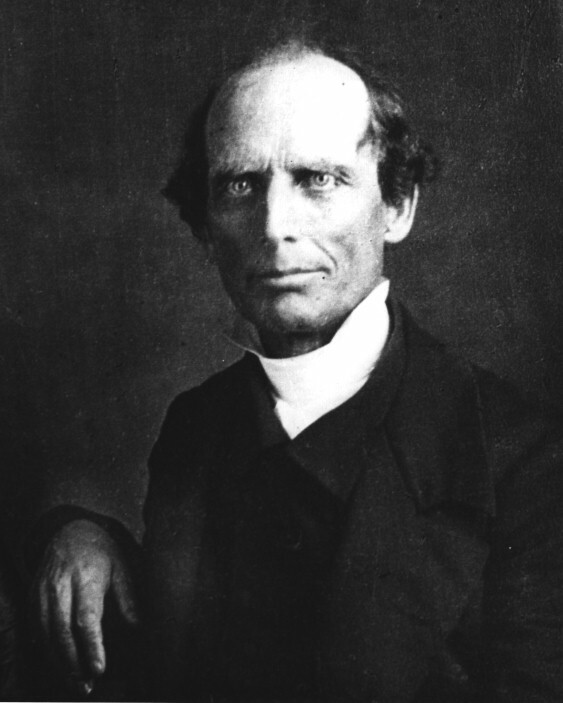 19th century revivalist Charles Finney was often called “America’s foremost revivalist,” and he was a major leader of the Second Great Awakening in America, which had a great impact on the social history of the United States. In Lecture XV of Charles Finney’s Lectures on Revivals of Religion, Hindrances to Revivals, Finney describes why churches in his day rarely saw revival…and he points to one major sin: slavery. Today, many Christians believe the church in America is doomed to rarely see revival for many of the same reasons. 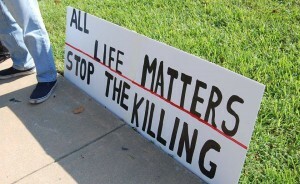 Only the sin America is seeped in today is child killing through legalized abortion. The church must take right ground in regard to politics. Do not suppose, now, that I am going to preach a political sermon, or that I wish to have you join and get up a Christian party in politics. No, I do not believe in that. But the time has come that Christians must vote for honest men, and take consistent ground in politics, or the Lord will curse them. They must be honest men themselves, and instead of voting for a man because he belongs to their party, Bank or Anti-Bank, Jackson, or Anti-Jackson, they must find out whether he is honest and upright, and fit to be trusted. They must let the world see that the church will uphold no man in office, who is known to be a knave, or an adulterer, or a Sabbath-breaker, or a gambler. Such is the spread of intelligence and the facility of communication in our country, that every man can know for whom he gives his vote. And if he will give his vote only for honest men, the country will be obliged to have upright rulers. . . . As on the subject of slavery (abortion) and temperance, so on this subject, the church must act right or the country will be ruined. God cannot sustain this free and blessed country, which we love and pray for, unless the church will take right ground. Politics are a part of religion in such a country as this, and Christians must do their duty to the country as a part of their duty to God. It seems sometimes as if the foundations of the nation were becoming rotten, and Christians seem to act as if they thought God did not see what they do in politics. But I tell you, he does see it, and he will bless or curse this nation, according to the course they take. Revivals are hindered when ministers and churches take wrong ground in regard to any question involving human rights. Take the subject of SLAVERY (abortion), for instance. The time was when this subject was not before the public mind. John Newton continued in the slave trade (abortion industry) after his conversion. And so had his mind been perverted, and so completely was his conscience seared, in regard to this most nefarious traffic, that the sinfulness of it never occurred to his thoughts until some time after he became a child of God. Had light been poured upon his mind previously to his conversion, he never could have been converted without previously abandoning this sin. And after his conversion, when convinced of its iniquity, he could no longer enjoy the presence of God, without abandoning the sin for ever. Their testimony must be given on this subject. They are God’s witnesses. They are sworn to tell “the truth, the whole truth, and nothing but the truth.” It is impossible that their testimony should not be given, on one side or the other. Their silence can no longer be accounted for upon the principle of ignorance, and that they have never had their attention turned to the subject. Consequently, the silence of Christians upon the subject is virtually saying that they do not consider slavery (abortion) as a sin. The truth is, it is a subject upon which they cannot be silent without guilt. The time has come, in the providence of God, when every southern breeze is loaded down with the cries of lamentation, mourning and woe. Two millions (55 million unborn) of degraded heathen in our own land stretch their hands, all shackled and bleeding, and send forth to the church of God the agonizing cry for help. And shall the church, in her efforts to reclaim and save the world, deafen her ears to this voice of agony and despair? God forbid. The church cannot turn away from this question. It is a question for the church and for the nation to decide, and God will push it to a decision. The church must testify, and testify “the truth, the whole truth, and nothing but the truth,” on this subject, or she is perjured, and the Spirit of God departs from her. She is under oath to testify, and ministers and churches who do not pronounce it sin bear false testimony for God. It is doubtless true that one of the reasons for the low state of religion at the present time is that many churches have taken the wrong side on the subject of slavery (child killing-abortion), have suffered prejudice to prevail over principle, and have feared to call this abomination by its true name…. But I repeat it, the subject of slavery (abortion) is a subject upon which Christians, praying men, need not and must not differ. Another thing to be avoided is an attempt to take neutral ground on this subject. Christians can no more take neutral ground on this subject, since it has come up for discussion, than they can take neutral ground on the subject of the sanctification of the Sabbath. It is a great national sin. It is a sin of the church. The churches by their silence, and by permitting slaveholders (abortionists) to belong to their communion, have been consenting to it. All denominations have been more or less guilty, although the Quakers have of late years washed their hands of it. It is in vain for the churches to pretend it is merely a political sin. I repeat it, it is the sin of the church, to which all denominations have consented. They have virtually declared that it is lawful. The very fact of suffering slaveholders (abortionists) quietly to remain in good standing in their churches, is the strongest and most public expression of their views that it is not sin. Still it may be said, that in many churches, this subject cannot be introduced without creating confusion and ill-will. This may be. It has been so upon the subject of temperance, and upon the subject of revivals too. In some churches, neither temperance nor revivals can be introduced without producing dissension. Sabbath-schools, and missionary operations, and everything of the kind have been opposed, and have produced dissensions in many churches. But is this a sufficient reason for excluding these subjects? And where churches have excluded these subjects for fear of contention, have they been blessed with revivals? Every body knows that they have not. But where churches have taken firm ground on these subjects, although individuals and sometimes numbers have opposed, still they have been blessed with revivals. Where any of these subjects are carefully and prayerfully introduced; where they are brought forward with a right spirit, and the true relative importance is attached to each one of them; if in such cases, there are those who will make disturbance and resist, let the blame fall where it ought. What is the condition of this nation? No doubt, God is holding the rod of WAR over the heads of this nation. He is waiting before he lets loose his judgments, to see whether the church will do right. The nation is under his displeasure, because the church has conducted in such a manner with respect to revivals. And now suppose war should come, where would be our revivals? How quickly would war swallow up the revival spirit. The spirit of war is anything but the spirit of revivals. Who will attend to the claims of religion, when the public mind is engrossed by the all-absorbing topic of war. See now, how this nation is, all at once, brought upon the brink of war. God brandishes his blazing sword over our heads. Will the church repent? It is THE CHURCH that God chiefly has in view. How shall we avoid the curse of war? Only by a reformation in the church. It is in vain to look to politicians to avert war. Perhaps they would generally be in favor of war. Very likely the things they would do to avert it would run us right into it. If the church will not feel, will not awake, will not act, where shall we look for help? If the church absolutely will not move, will not tremble in view of the just judgments of God hanging over our heads, we are certainly nigh unto cursing, as a nation…The churches did take hold of temperance and other branches of reform to such an extent as to avoid those evils against which they were warned. 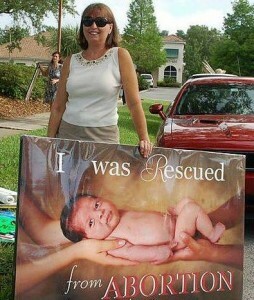 Upon the question of slavery (abortion) the church was too late in her testimony to avoid the war. But the slaveholders were much alarmed and exasperated by the constantly growing opposition to their institution throughout all that region of the north where revival influences had been felt. They took up arms to defend and perpetuate the abomination, and by so doing abolished it. 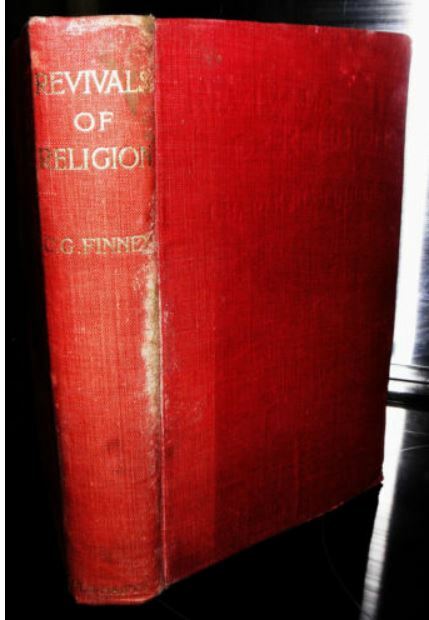 Finney was appointed professor of theology at Oberlin College (1835), minister of the First Congregational Church at Oberlin (1837), and was named president of the college in 1852. His Lectures on Revivals (1835) became a handbook for American revivalists. Finney died at Oberlin on Aug. 16, 1875.